"The most beautiful yoga studio! Beautiful instruction and setting will completely rejuvenate you and provide inner peace and increased strength and flexibility. And there are classes for everyone! You feel right at home at Flowforms Yoga." -J.W. "I dropped by today for my first free class, to try out your studio. I have only been practicing yoga for about a year now, but grew up as a dancer so I am thrilled to be stretching out my body again through yoga. Little did I know the VAST benefit yoga practice would provide in my life! I am hooked. I drive by your studio daily and constantly on the run with my girls. I have been DYING to try your studio….. I am so glad I did! She was wonderful and kind. The second I walked into your studio I knew it was just the right fit! I currently attend classes at another studio, but it’s across the city, which is not very convenient and I am not able to attend as much as I would like due to travel time! I have been reviewing your class schedules, which look great. I plan on getting a class pass. I just wanted to thank you for the great experience! I am so happy I stopped in to try! Have a great day!" -J.G. "Thank you so much! I sincerely appreciate your understanding! Life has been a whirlwind lately and Flowforms has been a welcomed solace - I can't wait to continue including it as a part of my routine!" -S.M. "The Yogi teachers/masters at Flowforms Yoga and the energy of the studio, will heal you, strengthen you, enlighten you, balance you ♥. :-)" -M.D. "I took a class at Flowforms Yoga at their June St. location with Janet Krones while visiting family over the holidays. First off, your first class is free!!!. Second, it's right done the street from my parents home. So I know where I'll be going to yoga when I'm in town (which is pretty much every other month). While this was not intentional, I did get a one on one class with Janet. I guess a lot of people were finishing up their holiday shopping at the time I went. This worked out brilliantly for me. Janet was extremely informative and patient, as she guided me through each pose. She gently corrected me when I was out of form and provided ways for me to refocus and modify. Poses that I am familiar with, she showed me tricks to improve upon. I don't think I've ever gotten up so high in my Cobra pose. There is just not enough amazing things to say about Janet. I will be back when I'm in town for class with Janet. Thank you!!!" -A.S. I love Yin yoga, and the Reiki was a great addition to a yin class. I will add it to my repertoire! I feel like your studio is going through a transformation, new space, new classes, all good! Keep up the awesome work! -S.H. Loved it! Sean was a very good instructor: prepared, helpful, encouraging. I'll go to his classes again. -P.G. "Thank you so much. Very appreciated! I should take this moment to let you know I have tried other yoga places that are closer to home but none come close to yours. All the teachers I've had have been great!" -M.H. "Great studio, awesome teachers and amazing owner!" -J.T. The space itself is calming as soon as you walk in the door. And something that I think is a big deal: the other students are SO nice, open, and genuinely cool. I have struck up more random conversations with students here than anywhere else! With so many hot and sweat-your-shins-off options in Worcester, Flowforms is a refreshing change, and it treats yoga as a mind-body-spirit experience." -C.H. "Molly, the owner, was very personable and helpful! Took a great restorative class and I had personal attention. I highly recommend Flowforms Yoga studio!" C.L. ​"Danielle’s class last night was great. I love how unrushed the class is with the extra time, and she is so peaceful. But it is also a great workout!" 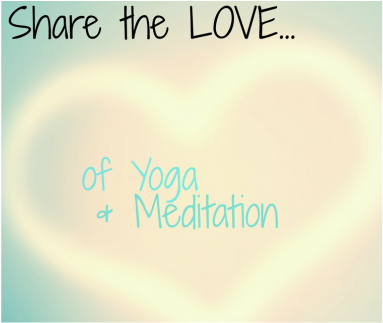 "Great teacher, individual and really knowledgeable yoga practice - best I´ve ever had!" -S.S.
"This is probably my favorite yoga studio in the area. Aside from the beautiful location there is a good number of classes to fit most people's schedule. Yoga isn't cheap anywhere but if you buy a class pass, it's cheaper and the prices in general are comparable to anyplace else. I've had three different instructors and they've all been very helpful in describing the poses. They offer modifications for all levels as well. If you sign up for their mailing list, they notify you of different types of workshops they offer." -A.M.
"This place is right down the street from me. One amazing thing I found out is that the first yoga session there is free!!!!! So, my friend and I went to a class one night a few weeks ago. The practice room is a wonderful space . This makes the practice very tranquil and pleasant. We were in a beginning yoga class and it was really relaxing. The instructor moved at a slow pace, which I enjoyed, but am not really used to. Also, she focused a lot on meditation and mindfulness, rather than rapid movement. Her voice was extremely soothing as well." -G.K.
Would you like to add to this page? Your full name will not be published unless you want it to be. Please sign your testimonial as you would like it to appear. we will only use your initials or first name when published. Please sign it as you would like to appear. Ex: Mary S. or M.S.